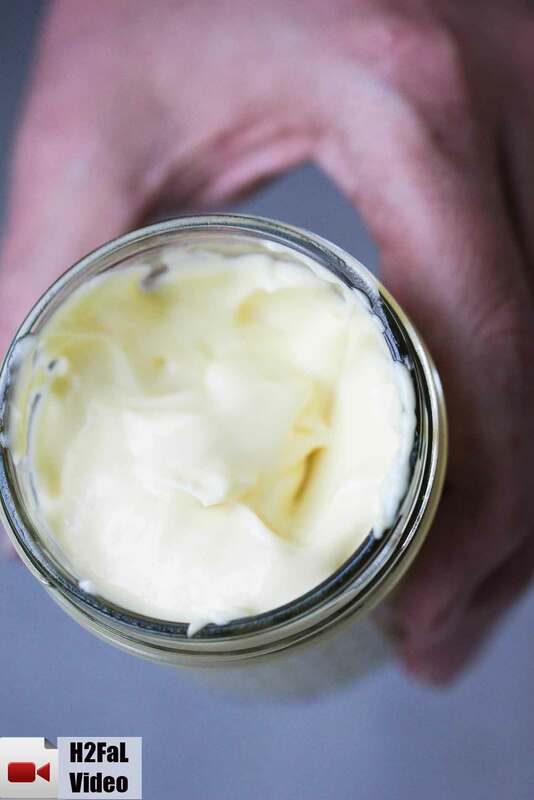 Homemade mayonnaise is truly something special, even though some people think negatively about this worldly condiment. But seriously, though, don’t we just love it? And when you make this Classic Homemade Mayonnaise from scratch, and you’ll never buy the store stuff again. Homemade mayo is the stuff dreams are made of. At least when I’m dreaming of my recipe of chicken salad! It’s really that good and you won’t believe how easy it is! 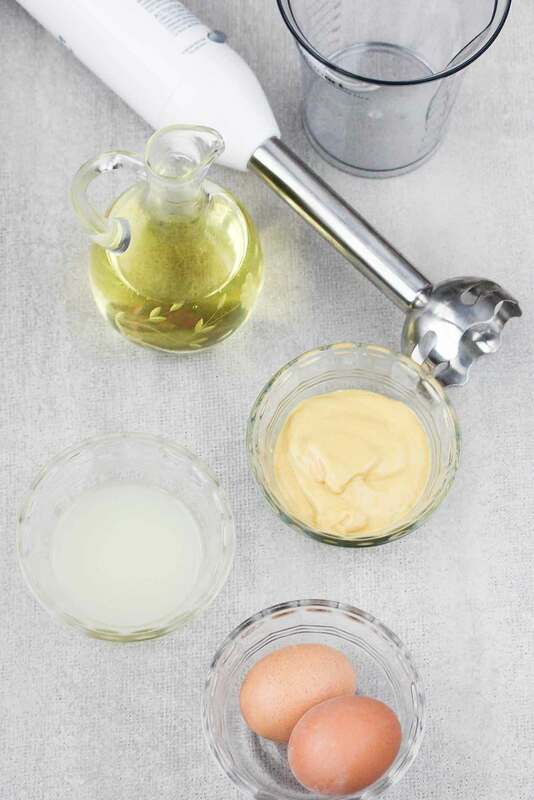 We just can’t rave enough about this Classic Homemade Mayonnaise and you can do this recipe in your blender or stand mixer, but the easiest way is with an immersion blender. Watch us show you how easy it is to make this awesome Classic Homemade Mayonnaise recipe! We just love our immersion blender! It brings the simple ingredients that normally don’t want to blend come together in such a beautiful and delcious way! We just love homemade mayonnaise. It is so creamy and so full of flavor. Be sure to go with an oil like avocado or another neutral tasting oil. Extra virgin oil imparts too distinct of a taste. I like 50% avocado and 50% olive oil. Just look at the homemade mayo perfection. As we mentioned, an immersion blender is the perfect tool the perfect tool to enable you to make perfect mayonnaise every single time! There is just something so smooth, natural and comforting about homemade mayonnaise and it is so much better than the bottled stuff! The origins of mayonnaise is a bit uncertain. You’d think it’s decidedly French, but evidence shows it may have originated in Spain. Learn more about the Uncertain History of Mayonnaise by Slate.com. Here’s the blender I use almost every week. And it’s very affordable…and delivered fast! 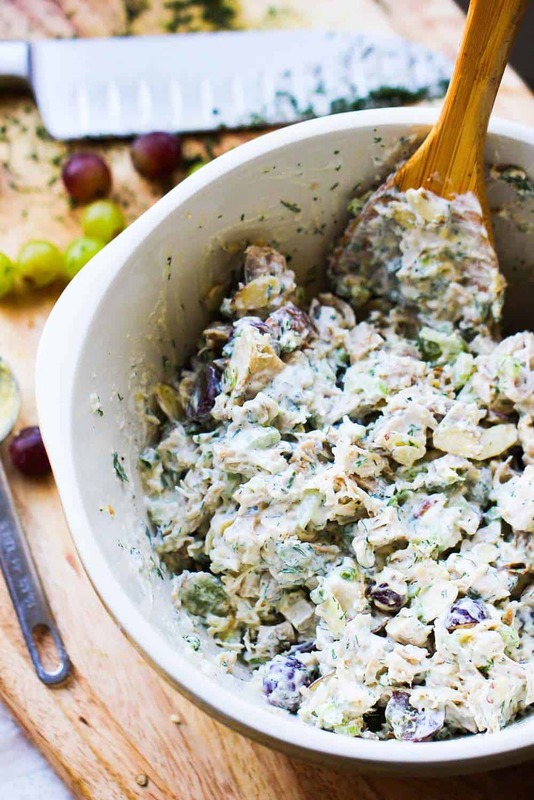 This Best-Ever Chicken Salad is even BETTER when you use this Classic Homemade Mayonnaise recipe! Our Best-Ever Tuna Salad is pretty amazing, too! Look how delicious that is!! 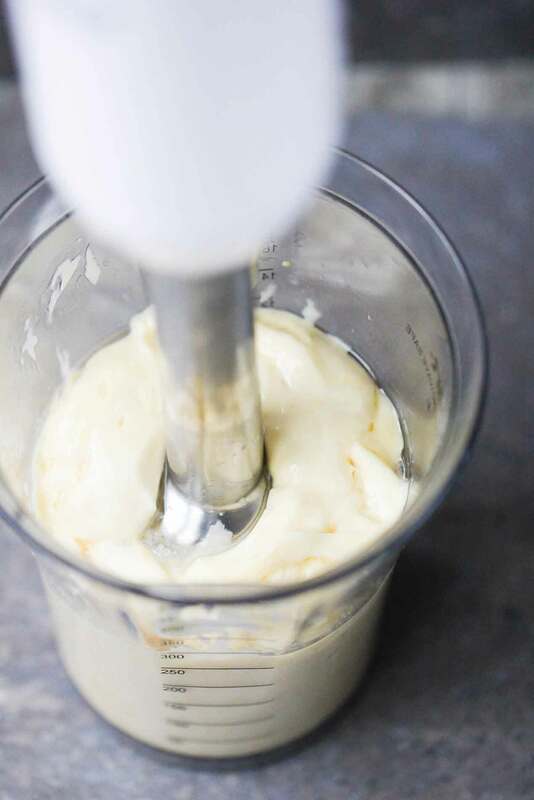 Now, let’s make this amazing Homemade Mayonnaise! This Classic Homemade Mayonnaise recipe is fool-proof. It may take a time or two for you to get 100% comfortable with creating perfectly smooth and creamy homemade mayo, but you'll get it. It's so delicious! It's great in our Chicken Salad and our Tuna Salad! Place all ingredients in a vessel just large enough to fit the immersion blender. Place blender all the way in, so the blades are touching the bottom of the vessel. Turn on blender, and gently move it upwards, so the egg and egg yolk are incorporating, and the oil and egg begin to emulsify. Continue, gently moving up and down, until thick. Will keep in the fridge for up to one week. *Although the risk of contracting illness from raw eggs is minimal, children, the elderly, and those with a compromised immune system should avoid consuming them. Hi Kris! You two have inspired me to get an immersion blender! About 2 weeks ago I decided to break it in by making your mayo recipe. For once in my life, I followed the recipe to the letter (minus hot sauce). The texture came out perfectly! My question is about the taste. It is good, but has a distinctive oil taste (I used all avocado oil) which, while not bad, isn’t quite right for mayo. Also, the color is a pale green, not the lovely white in your pictures. Should I reduce the amount of oil used? Different brand oil? Different oil completely? I don’t mind some experimenting but do hate wasting food and money. Any tips are really appreciated. You and Wesley are just fabulous!! Thanks. Hi again! No apology needed at all! I expect you have a couple other things to do in your day to day! I took another shot at it this weekend. This time I used 50/50 avocado oil and olive oil (a lovely oil from Greece) and used a total of 3/4 cup oil. It is still green (I really don’t mind the color) and still has that oil taste, but certainly less. My oils all live at room temp and I knew to let the eggs equilibrate. Texture is still fine. I’m going to try again this weekend using one of the oils you mentioned. I am determined to master this! Thank you for the feedback and I will let you know what happens with the next batch. Hi again, Kris. Third one’s a charm, I think. I tried straight grapeseed oil in the lesser quantity (3/4 cup) and put a wee more white wine vinegar. Ding ding! Flavor is much less oily and the color is noticeably lighter, though still not that pristine white as in your photos. All that to say that your recipe makes one awesome mayonnaise. Thanks so much!! Hello and thank you for accepting me to your site and accept my admiration for delicious foods and especially the sauces you make. My emmersion blender also was a fail. The recipe was so runny. But I didn’t give up, I put the runny ingredients in my Vitamix and bam, thicken right up. The absolute best oil I have found to use is Thrive Culinary. It’s very light and absolutely no flavor. Thank you for the recipe!!! So glad you had success! We don’t have issue using our immersion blender, but we know others have. Glad that you found success by adding to your blender. Thanks for sharing!! Can’t wait to share this with others. I made this exactly as written (except I used rice vinegar since I have no white wine vinegar) *twice*. The first time was a huge fail, because, after placing all ingredients, including oil, into the right size container, I discovered my emulsion blender doesn’t work anymore. So I poured the whole thing into the food processor and tried blending that way, with absolutely no success. Did some Googling for the food processor method, and found one on another blog (the oil drips in slowly through the food processor’s plunger). I used their technique but used YOUR recipe. The results are amazing. Perfect, creamy mayo. My husband loves it and will keep me supplied with olive and avacado oils (I used 50/50) so I will keep making him tasty, homemade mayo. However, this first batch is for your chicken salad sandwich recipe. 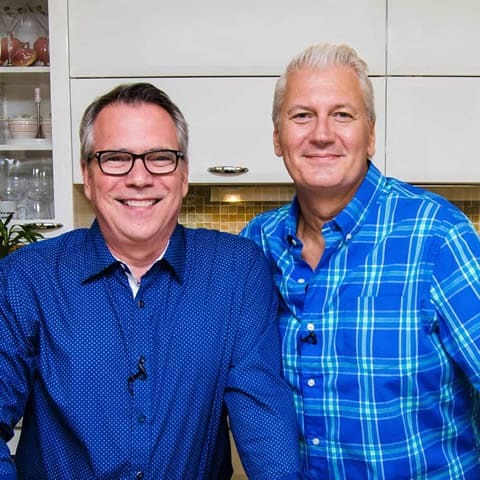 Thanks for sharing this and all your other recipes! Chris & Loon ~ Made this again today. Used an avacado / pistachio oil blend. Perfect as usual per your instructions and too delish to contain my happiness. How much vinagar do you use??? Hi Sandi! 1/2 teaspoon! Updated the recipe! Thank you! Many thanks for sharing your recipe… 2 questions though – (1) what brand of immersion blender did you use? I see you were careful not to advertise that… but please I want to ensure I get the right one and (2) What is the deal about the white wine vinegar? I want to try this in 2 days and I am very excited about it… want to minimize or eliminate mistakes! Thank you for the idea to use the hand held emulsifier! i had seen so many recipes but was disheartened by the idea of whipping it myself or making a huge batch in a food processor! I made home made mayonnaise for the first time just a few minutes after viewing your video instruction (using my hand held emulsifier) and it was splendid! Thank you for simplifying things! Hello there. My first attempt was not successful, I will try again. Other comments mention white vinegar, but I don’t see it in the list of ingredients? How much should be used? Thank you for the recipe. I made this for lunch and it is amazing! Alright you guys! I tried to make this mayo and it was a fail. I have no idea what happened! 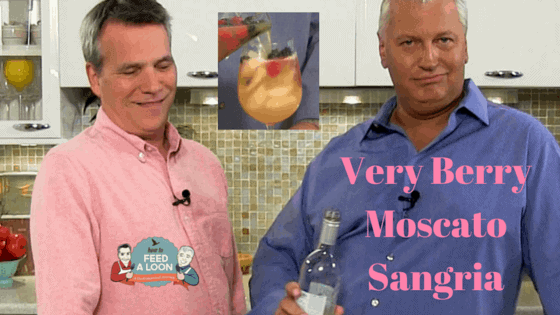 I followed the recipe and also used my immersion blender but it was a no-go! . It stayed a liquid. I even tried putting it in the frig to see if that would help. Nooooo. Can you trouble shoot this for me? I wonder if I used too much vinegar and killed the whole batch. What do you all think? I tasted it. Delish! The first time I attempted this, it was a miss as well. I threw everything in at once, and hoped for the best. After a befuddled phone call with my best friend, I realized the key principle I was passing over was emulsification. I have a standing mixer, and used that with the whisk blade on high. Combine all of the ingredients except the oil in your mixer. Leaving it running on high, VERY slowly pour the oil in a steady stream. As in, I spent more than six minutes adding a cup and a half of oil. I let it beat for several minutes more after that, and voila, creamy mayo! Same problem here. Followed recipe, used Cuisinart immersion blender, container just larger than blender (2 cup glass measuring cup) and result was about like eggnog. Tastes great but no amount of blending thickens it. Heck, I’ve never bought white wine vinegar before either; favorite brands or tips there also? Hey Tina! There are lots of wine vinegars on the market, ranging in a pretty wide swath of price. I really like Colvita…they are good quality and not too over-the-top expensive. But again, you really can’t go wrong with whatever you choose. Hope this helps!! Hi Tina! I cook with Benissimo naturals’ quite a bit. But, I’ve used different brands before, and you really can’t go wrong with whichever you find. I will never buy mayo off the shelf again. So much better than anything you can buy and you control the quality of ingredients!!! Thank you! 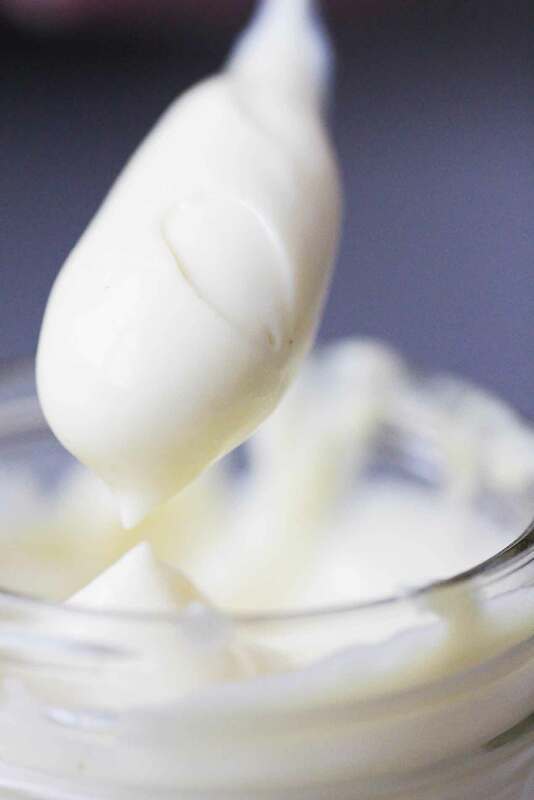 If you add whey (from homemade yogurt) in place of water, put it on the counter for 3-4 hours to allow the whey to activate, your mayonnaise will last for up to a month. I do this all the time. Oh, I also use a whole egg instead of just the yolk. This mayo is great with your chicken salad recipe, just as you recommend.